It took 11 years for a Japanese man from Ibaraki to build this behemoth. When the robots take over the globe, this is the kind of machinery that we’re going to need to fight back. The only down side to this mechanical beast is that it is very slow. This robot monster beetle would probably fall in battle right away, but it is a step in the right direction. 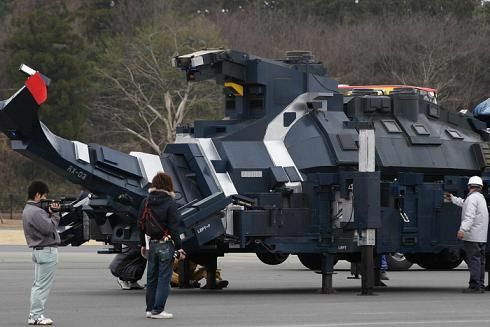 I’m glad to see that giant fighting robots will soon be a reality. This model, which is named the MX-03, is the third version of the giant robot beetle. Let’s just hope the creator isn’t also into artificial intelligence research.